What Elbow Conditions Can be Operated on Arthroscopically? 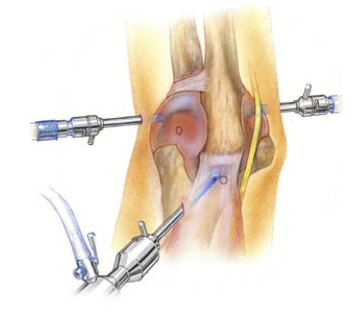 Arthroscopy is the name of the procedure which surgeons use to inspect and repair problems inside a joint. 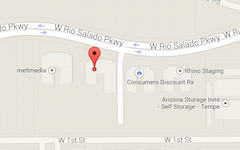 During this procedure, your elbow surgeon in Phoenix uses a tiny camera to look into your elbow joint. The images taken by the camera are displayed on a monitor, which the doctor uses to conduct the operation. Due to the small size of both the arthroscope and the surgical instruments, the Phoenix sports medicine doctor can conduct this operation using multiple small incisions as opposed to a larger incision used in traditional surgery. This less invasive procedure has a number of beneficial results for the patient. Less pain and joint stiffness; as well as a quicker recovery time is commonly enjoyed by using this procedure. Elbow Arthroscopy was first performed in the 1980s. This procedure has made the treatment and recovery from surgery quicker and less painful than it ever has been. Elbow Arthroscopy may be recommended if you have a painful condition that does not respond to non-surgical treatment. Non-surgical treatment includes rest, medications, physical therapy and injections that reduce inflammation. Inflammation is your body’s normal reactions to illness or injury. 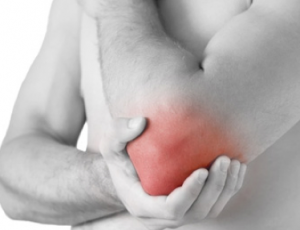 In a diseased or injured elbow joint, inflammation causes pain, swelling and stiffness. Arthritis, loose bodies in the elbow joint, tennis elbow and bone spurs are all conditions that an elbow Arthroscopy can improve. Arthritis in the elbow can lead to swelling, pain and loss of movement in the joint. This can lead to a decrease in the functionality of the arm. Loose bodies are fragments of bone or cartilage that have chipped off and ‘float’ in the joint. If not removed, loose bodies can cause damage to the joint and restrict elbow use. Pain and swelling are also associated with loose bodies. Reconnecting or removing these chips will help restore full and natural movement of the elbow. Tennis elbow is an inflammation of the tendons that join the forearm muscles on the outside of the elbow. The forearm muscles and tendons become damaged from overuse and repetition. This leads to tenderness, inflammation and pain to the outside of the elbow. for bone spurs in the elbow. To treat your problem, your doctor can remove the growth and smooth the bone surface. Some advanced surgeries combine arthroscopic and open procedures in the same setting. For example, in a severe case of Osteochondritis dissecans (a disorder characterized by cracks forming in the cartilage and the underlying bone in the joint), a loose fragment of bone may be removed arthroscopically, and the injured area of the humerus may be repaired with a bone graft using open surgery. Usually, elbow Arthroscopy surgery is performed with the patient under a general anesthesia. After the anesthesia is administered, your Phoenix elbow surgeon will make 3-4 small incisions to access the elbow. These incisions are placed to minimize injury to adjoining blood vessels, tendons and nerves. The arthroscope is placed into the joint through one incision, and other miniaturized surgical instruments are used through the other incisions to correct the problem. Depending on what the procedure is correcting, your surgery shouldn’t last more than 90 minutes. After the surgery is complete, your elbow will be bandaged or splinted. You will most likely have to work with a physical therapist to regain full motion and strength in the affected joint.